How globally minded SMEs are adapting their global sales strategies to take advantage of the moment. The audience heard from Drake Loader, Gatekeeper, and Blacklin Associates. Senior officials from CompTIA, Microsoft, Dow Chemical, and the National Governors Association shared tips on how SMEs can have an effective government affairs strategy. The Washington Diplomat’s Managing Editor, Anna Gawel, interviewed the recently appointed Head of the Trade and Agricultural Section for the delegation of the European Union to the United States, Tomas Baert. The program was attended by more than 150 people including representatives from eight embassies. The District Export Council would like to thank it’s partners and sponsors including: the Virginia Economic Development Partnership, Virginia Small Business Development Centers, CompTIA, Fulton Bank, U.S. Global Leadership Coalition, Trade for America, and the State International Development Organizations. Ian Steff, Acting Director General of the U.S. & Foreign Commercial Service (left) and Pompeya Lambrecht, Trade Specialist of the U.S. Commercial Service, Virginia/Washington D.C., presented Chris Hoyt, Co-Founder & CFO, and Christine Boyd, Vice President of Marketing, of Upskill (center) with an Export Achievement Certificate for recent accomplishments in the global marketplace. 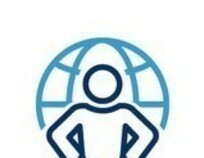 With assistance from the U.S. Commercial Service, Upskill, software developer for augmented reality devices, has more than doubled its staff across two offices, grown revenue significantly, and increased its client list by 300%, including several new global customers with projects based in Europe, Latin America and the Asia-Pacific region. 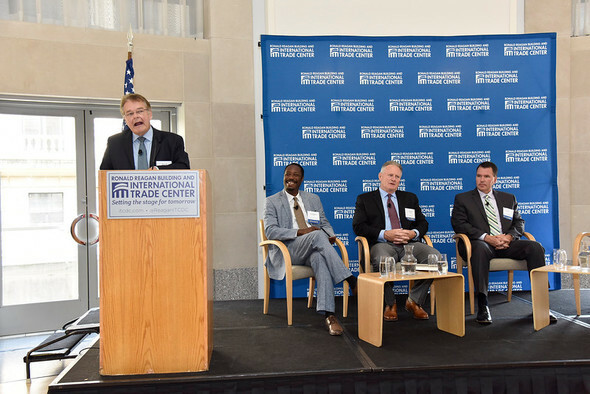 The award ceremony was at the Global Trade: Leveraging Washington D.C. for the SME Community in a Time of Change event at the Ronald Reagan Building in Washington, D.C.
Are you interested in learning how the U.S. Commercial Service (USCS) can assist you to pursue international sales? Need help with overseas buyer financing or accessing additional credit? The U.S. Commercial Service (USCS), The Export-Import Bank of the U.S. (EXIM) and the Small Business Administration (SBA) have programs designed to take the worry out of exporting. The USCS can help you identify your top overseas markets and find qualified buyers or business partners overseas. With EXIM’s export credit insurance you are protected from the commercial and political risks that the private sector is unable or unwilling to accept, and the working capital loan guarantee program provides the cash you need to fulfill international orders. With SBA financial assistance programs, you can meet key financing needs, including debt financing, surety bonds, and equity financing. Working with these three U.S. government agencies will give you a competitive edge to win more international sales. Sandra Collazo from the U.S. Commercial Service, Elizabeth Thomas from EXIM and William Houck from SBA, will be at our office in Rosslyn to meet with Virginia and Washington, DC exporters. Last year, the United States exported more than $450 billion in goods to Asia, and the potential for selling U.S. products in the region is still largely untapped. 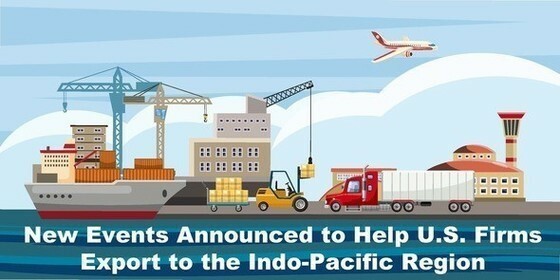 The U.S. Department of Commerce announced a strategy designed to increase U.S. exports to the Indo-Pacific region, strengthen economic security and reduce the U.S trade deficit. For more than seven decades, U.S. economic and commercial engagement and development assistance have advanced freedom, openness, and economic prosperity across the region. The Commerce Department will dedicate two of its upcoming flagship export events, Discover Global Markets and Trade Winds, to helping U.S. firms identify market opportunities and meet buyers and partners from the Indo-Pacific region, which spans the west coast of India to the west coast of the U.S. Read more about these events below and let us help you access new markets. Network with international executives, business development and marketing professionals, technology developers, export compliance specialists, and government officials. Meet one-on-one with U.S. Commercial Diplomats from the following 14 Indo-Pacific nations: Australia, Bangladesh, Burma, India, Indonesia, Japan, Malaysia, New Zealand, Philippines, Singapore, South Korea, Taiwan, Thailand and Vietnam. Discuss procurement needs directly with foreign buyers. Visit the website to learn more about how this conference will prepare you to compete globally and transform market potential into market success. Subscribe to receive updates about Discover Global Markets: Indo-Pacific. This event will combine a conference and a trade mission to India and other surrounding countries where U.S. exporters will meet with decision makers on opportunities they’ve learned about at the Discover Global Markets: Indo-Pacific conference and other Asia-related events. Subscribe to receive updates about Trade Winds Indo-Pacific. This event continues the WNG series on important overseas markets. Our program on Belgium features two seminar panels to examine current business and economic conditions, and highlight investment and export opportunities in this important market. Presentations and prepared collateral materials will provide attendees with actionable advice and specific recommendations that companies can use to pursue business in Belgium. Our program includes time for networking and is followed by a reception featuring Belgian beers and chocolates. 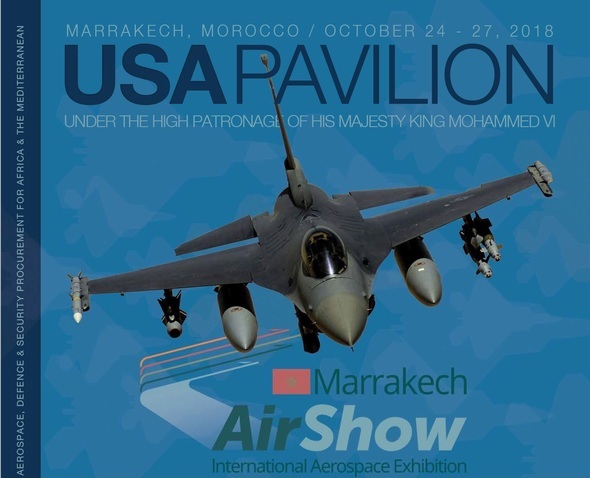 The sixth edition of the Marrakech Airshow Exhibition will take place at Marrakech, Morocco, from October 24 to 27, 2018. The Marrakech Airshow is the meeting place for civil and military aviation industry in Africa, with fifty official delegations from across Africa. Delegations from Russia, China, Europe, and North America will be attending, supporting the idea of the African Aerospace Platform. With increased focus on development of Africa's aerospace infrastructure, Morocco has put itself forward as a hub for maintenance services with quality infrastructure and services, making this airshow an excellent opportunity for exhibitors to enter one of the biggest potential markets in the world on the ground floor. In collaboration with the airshow, a symposium on Security and Defense with more than a hundred Heads of Defense and senior Air Force officers from across Africa, hosted by the US Air Force Command in Europe and Africa on October 22 and 23. As part of the India Energy and Smart Grid Reverse Trade Mission USTDA will host a workshop for U.S. companies to learn about upcoming projects and procurements in India’s energy sector. The agenda includes time for one-on-one meetings with the delegates to discuss potential partnerships with Indian project sponsors in the renewable energy and energy storage fields. The Kazakhstan-US Business Association and Ukraine-US Business Council, in coordination with the Department of Commerce and US Commercial Service are organizing a certified trade mission to Kazakhstan and Ukraine for US companies interested in doing business in Eurasia. With a combined GDP of $230 billion, Kazakthstan and Ukraine provide substantial opportunities in the energy, infrastructure, and agricultural sectors, and both nations possess the markets and domestic qualities for extensive growth. The trade mission is set for October 24 to 30, 2018, and will provide opportunities for participants to meet with local governments, businesses, and other contacts to discuss the potential and challenges from doing business in these markets. 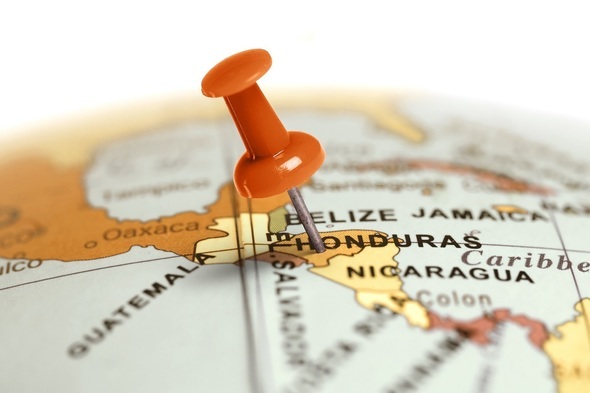 Team – We have some updates to the Central America Deal team infrastructure road show to Costa Rica and Honduras. If you have airport companies this will get them excited! The Government of Honduras will launch a massive airport modernization and development program. Three new concessions valued in the hundreds of millions for the airports in San Pedro Sula, La Ceiba, and Roatan will be announced on November 1 in conjunction with an Infrastructure Conference in Tegucigalpa in addition to the projects listed below. U.S. delegates will be treated to a special presentation for these concessions to hear first-hand about the opportunities. New Honduran air cargo airline installation that contributes to improve the time and costs of moving products ($10M). 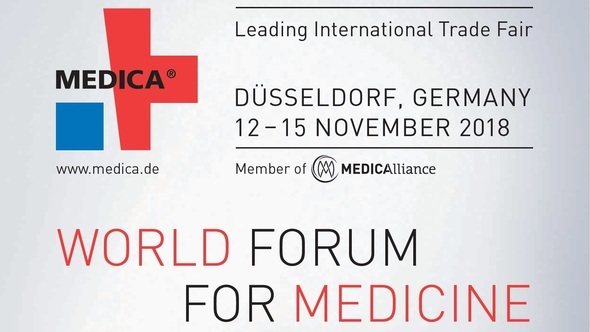 Once a year, the threads of international medical technology come together in Düsseldorf, bringing together people from around the world who use MEDICA for their business and to meet relevant target audiences: international top decision-makers, experts and trade visitors. No other event compares to MEDICA, the world's largest and most prestigious medical technology and equipment show. With 5,780 exhibitors (more than 500 U.S. exhibitors) and the following participants in our USA CEO Center and 127,500 trade-only visitors from 120 countries, MEDICA opens markets across the globe. This show traditionally sells out, but you can be present in a cost effective way through the U.S. Commercial Service's Corporate Executive Office (CEO) program at MEDICA. This program offers a unique opportunity to promote your exports and meet customers and qualified distributors from all over Europe and the world at affordable cost. The Big 5 Dubai International Building and Construction Industry Show, November 26-29, 2018 is one of the largest and most influential of its kind throughout the Middle East and North Africa, as well as Central and South East Asia. Now in its 39th year of operation, the Big 5 Dubai is an unrivaled opportunity for connecting exhibitors to more than 64,000 of the top business leaders, buyers, distributors, and agents from more than 137 countries across nearly every facet of the building and construction industry. Exhibiting at the Big 5 Dubai comes with full support from the US Commercial Service, and will enable connections with key players from across the region. Space is available for US exhibitors from $699 per square meter, or a pre-set stand package for $7,650. Be among the most influential members of the global financial and business community. • In 2018, the AFF attracted more than 3,000 participants from 46 countries and regions. • Approximately 85% of all participants were CEOs and senior decision makers. • Take part in the Deal Flow Matchmaking Session, one-on-one meetings organized by the Asian Financial Forum. Companies referred by the U.S. Commercial Service can receive 40% off the $US 1,300 regular registration fee. Registration, Market Briefings, and Networking Reception. Trade Americas – Business Opportunities in Southern Conference. Business-to-Business Meetings in one market. Recently, Thailand has come to focus extensively on attracting innovative, high-tech, and high-value added investment, which US companies can provide better than any in the world. Thailand offers substantial tax and other incentives to potential investors, and when combined with a steadily growing and burgeoning middle class, presents huge growth opportunities for US tech and e-commerce firms. This no-cost webinar will host experts in commercial opportunities in the region, e-commerce opportunities in the region, as well as blockchain, digital trade, and cybersecurity in Thailand. The seminar will be held on July 10, 2019 at 8:00 p.m. EST. Guest Blog question and answer with U.S. 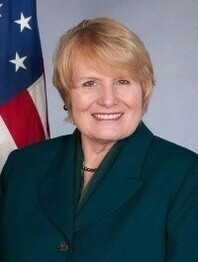 Ambassador to Papua New Guinea, Solomon Islands and Vanuatu, Catherine Ebert-Gray. ITA’s Advocacy Center helps to ensure that sales of U.S. products and services have the best possible chance competing abroad. 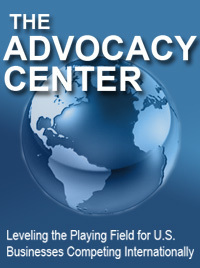 Advocacy assistance is wide and varied but involves coordinating U.S. Government resources and authority in order to level the playing field on behalf of U.S. business interests as they compete against foreign firms for specific international contracts or other U.S. export opportunities. 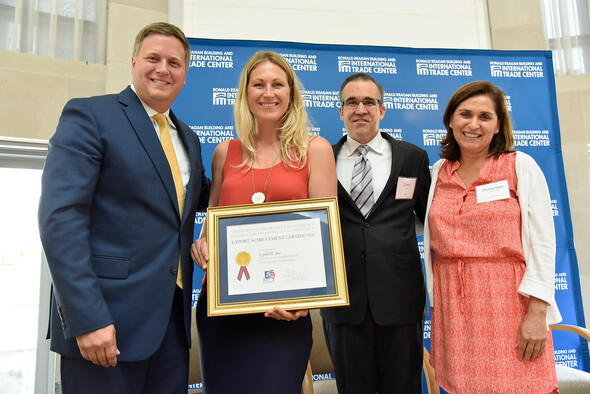 Since its creation in 1993, the Advocacy Center has helped hundreds of U.S. companies — small, medium and large enterprises in various industry sectors — to win government contracts across the globe. In short, the Advocacy Center are your advocates! In pursuing foreign business opportunities, it is encouraged that you and your company to contact the Center early and often. Click here to learn more about the Advocacy Center and how it can help your business. Find It! What you need to know about foreign business customs. Make your next export deal go smoother by understanding the culture in a potential market. You can find that insight in our Country Commercial Guides (CCGs), prepared by staff working in the market. Here is the section about Nigeria's Business Customs. Nigeria is a market with growth opportunities that mature exporters should explore. Watch our video and read the Market Overview to learn more. Sign up for more tips like these from ITA's Export Today. Are you expanding to a new market? Do you need detailed information on a foreign market to make the right entry decisions? Have you checked out ITA’s Country Commercial Guides? If not, you may be missing out on valuable information that could help you better reach your export markets. These guides, covering over 125 countries, are an excellent starting point to find everything you need to know about doing business overseas. Each guide details eight important factors to help you decide if a market is right for your product or service. You can learn more about a country’s market details, business environment, regulations, top sectors, and more. ITA’s Country Commercial Guides help you make smart decisions on how to enter foreign markets. Click here to view our office directory and see which trade specialist can help you grow your exports. The U.S. Commercial Service is the trade promotion arm of the U.S. Department of Commerce’s International Trade Administration. U.S. Commercial Service trade professionals in over 100 U.S. cities and in more than 75 markets help U.S. companies get started in exporting or increase sales to global markets. If you are ready to begin exporting or expand to additional global markets, please contact your nearest U.S. Commercial Service office or access exporting resources here. Visit our User Profile Page to update your subscriptions or unsubscribe. If you need assistance, please visit subscriberhelp.govdelivery.com. You are welcome to contact us at publicaffairs@trade.gov.